You've created your team, invited team members, and now you're ready to setup a schedule. Chances are, you'll want to setup a number of Training Sessions for your team that occur every week for the duration of the season. This is where recurring Training Sessions are your friend. Single Session: This will make a single training session. You'll set the date and time of the training session. 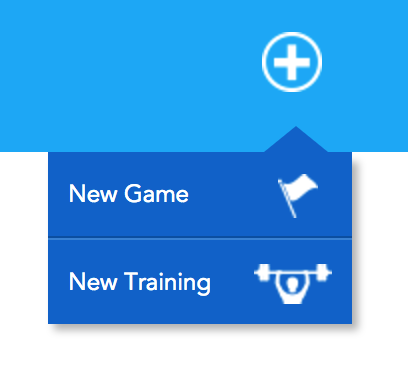 Daily: This will make the same training session every day between two dates that you enter. Weekly: This will make the same training session once a week between two dates that you enter. The training will be created on the same day of the week. eg. if your first training session occurs on a Tuesday, then the weekly training session will occur every Tuesday between your two defined dates. Every 2 Weeks: Similar to the Weekly option above, but sessions will be created every 2 weeks instead of weekly. 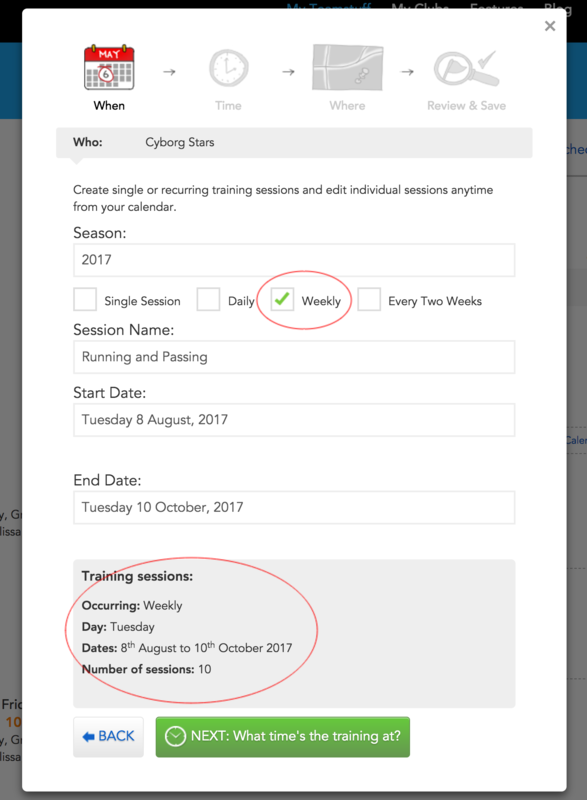 Your recurring sessions will be summarised at the bottom of the modal, displaying what day the training will occur and how many sessions you'll create. If you have 2 or 3 training sessions a week (every Monday, Tuesday and Thursday night, for example) you'll want to repeat the process for each night. You could even setup two training sessions on a Monday, with every 2nd Monday being an alternating session - just select "Every Two Weeks", and ensure your first training date has a different start date to the other session. Monday the 1st could be "Running". Repeated every 2 weeks would give you Monday the 1st, 14th, 28th, etc. Once all your training sessions have been created, you can then edit each one individually if needed - including a slight time change or additional instructions.